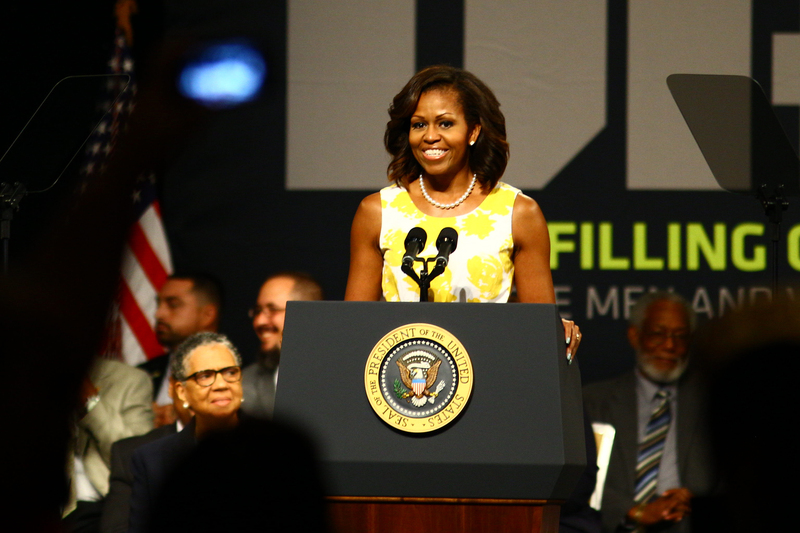 Michelle Obama thinks that the country will see a woman elected president in her lifetime. She just doesn't want it to be her. In an interview with Parade Magazine, the First Lady said she thinks the country is ready for its first female commander-in-chief... and then swiftly shutdown any thoughts that she might one day run for the office. As speculation swirls about Hilary Clinton's plans for the 2016 lecture, Obama made sure to stay far away from making any assumptions about the former secretary of state's plans. “She hasn’t announced anything, so I’m certainly not going to get ahead of her,” FLOTUS said. In 2008, Clinton earned more votes during the Democratic primary than any woman in history. She was of course defeated by none other than then-Senator Barack Obama. During the chat, Obama weighed in on how her husband's election as the first black president of the United States will weigh on future elections.